The title of this lecture is ‘Strength at the Centre — The Case for a Prime Minister’s Department’. 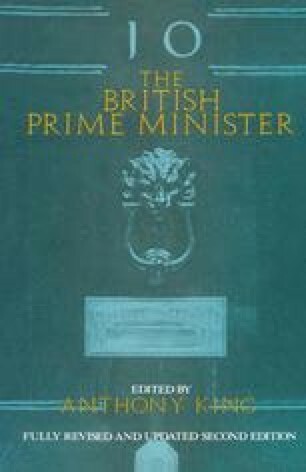 It stems from my last seven years’ experience in Whitehall, and I chose to speak on this subject partly because it is an issue of some importance and partly because, in contrast to some other countries, here in the United Kingdom the subject has excited comparatively little public interest or debate. In this respect perhaps the greatest contrast is with the United States where the presidential form of government means that the head of government has many direct and legal responsibilities placed on his shoulders which in our system are borne by individual cabinet ministers. It is not surprising, therefore, that the past 40 years should have seen study after study on the theme ‘What help does the president need, and how should it best be organised?‘. The work load on the president can only be described as awesome and the support system almost equally so, for in the White House and the Executive Office of the President we are talking of a cast of literally thousands all working to support the president in his executive role, including men of great power as presidential aides able to transmit what they interpret as the president’s wishes to the departments and bureaux. Reprint of the Stamp Memorial Lecture for 1980 (London: University of London, n.d.).